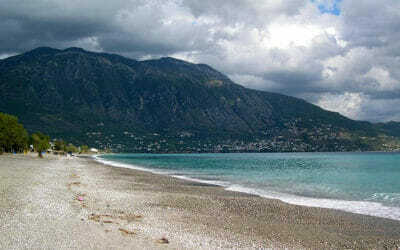 The beach of Kalamata is 2.5 km long and combines sand with fine pebbles. 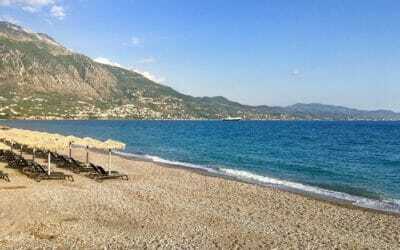 Of course one can go swimming here, but locals also come here just for a walk for a coffee, or for lunch or dinner. 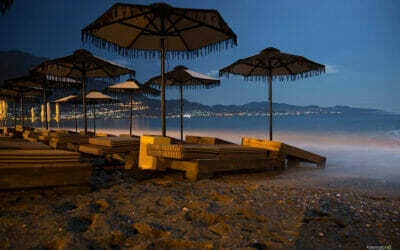 But what is remarkable about this beach is that although it is a city beach it has the cleanest waters you can dream of. This might be partly due to the underground river waters that the near by mountain of Taygetos delivers. 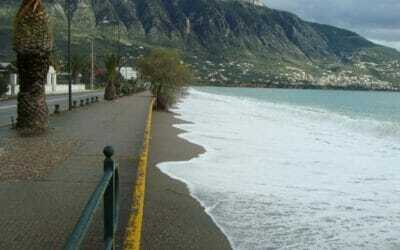 That’s also why if you fancy chilly waters you would rather stick to the east side of the beach. Particularly in the hot summer it is a delight to be able to cool yourself down in such a way.